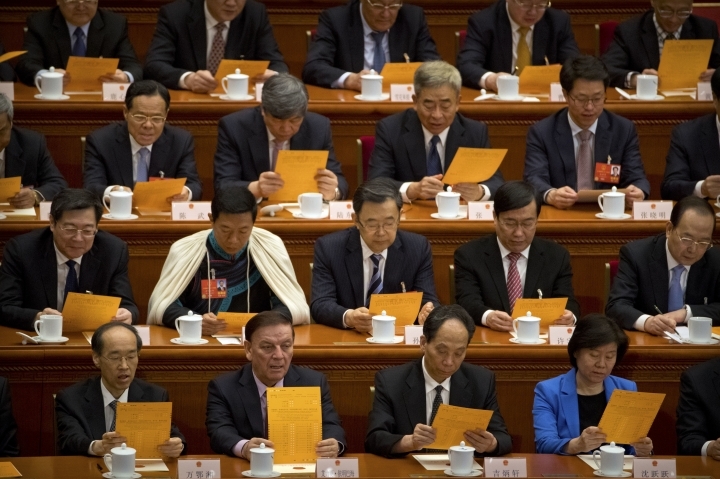 BEIJING — In an unusual step, China's ceremonial legislature is due to endorse a law meant to help end a bruising tariff war with Washington by discouraging officials from pressuring foreign companies to hand over technology. The battle with China's biggest trading partner is overshadowing the National People's Congress, the country's highest-profile event of the year. 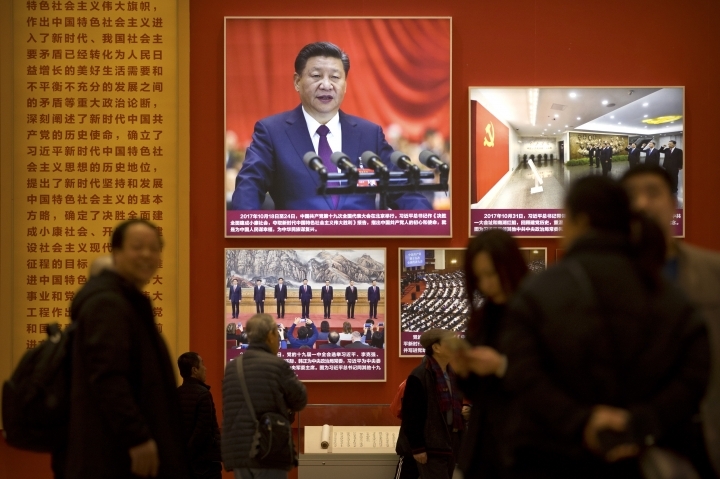 It brings 3,000-plus delegates to the ornate Great Hall of the People in Beijing for two weeks of speeches, meetings with senior leaders and political ritual to endorse the ruling Communist Party's economic and social welfare plans. A gathering of noncommunist groups held at the same time brightens Beijing's drab winter, drawing tech billionaires, movie stars and ethnic minorities in distinctive traditional dress. That gives President Xi Jinping's government a platform for advertising changes aimed at ending the fight with President Donald Trump that has disrupted trade in goods from soybeans to medical equipment. The technology measure is part of a proposed law on foreign investment that aims to address complaints by Washington, Europe and other trading partners that China's system is rigged against foreign companies. Trump cited complaints Beijing steals or pressures companies to hand over technology when he slapped punitive tariffs on $250 billion of Chinese imports in July. Europe, Japan and other trading partners disapprove of the tariff hikes but echo U.S. complaints. China has balked at changing its strategy for nurturing technologies that American officials worry might challenge U.S. industrial dominance. But communist leaders face pressure to reach a settlement after economic growth sagged to a three-decade low of 6.6 percent last year. 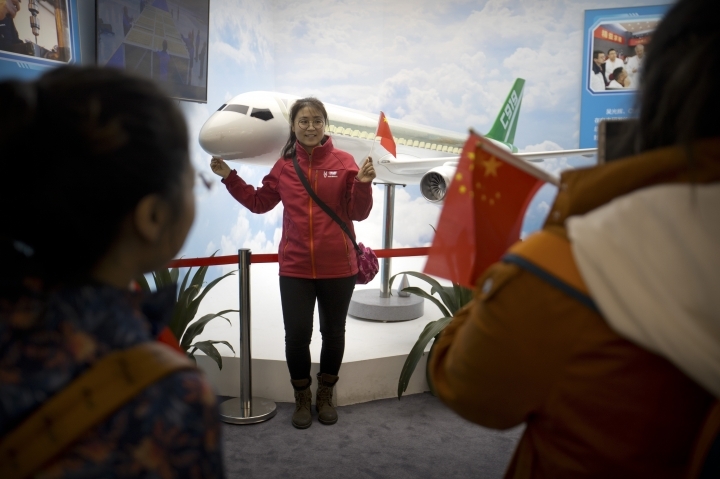 On the domestic front, companies and investors are hoping officials announce details of how Beijing will carry out promises to curb the dominance of state industry and support entrepreneurs who generate much of China's new jobs and wealth. 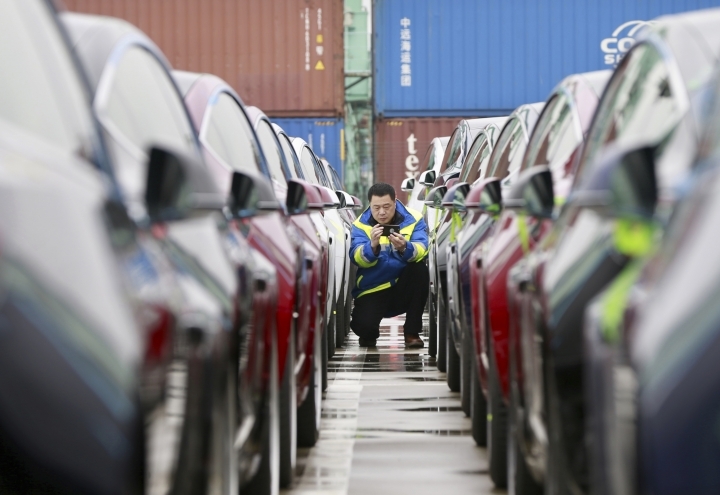 They are looking for details of a promised cut of up to 1.3 trillion yuan ($200 billion) in value-added and other taxes. 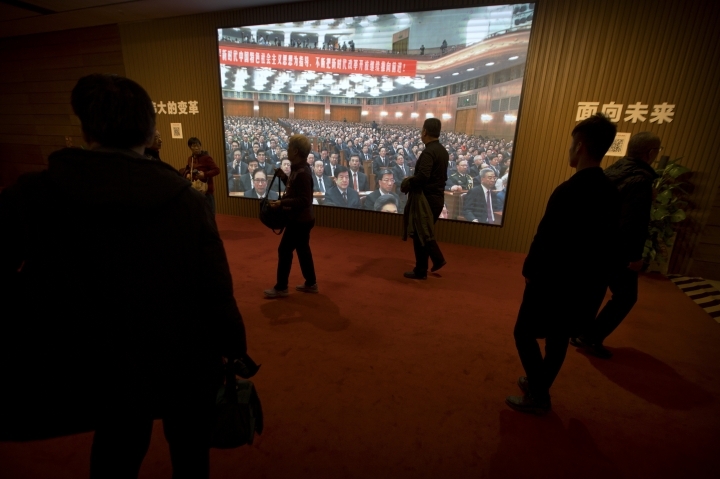 The congress opens Tuesday with an annual "work report" on government plans by Premier Li Keqiang, the No. 2 ruling party leader behind Xi and China's top economic official. State media have cited other potential topics including revising China's patent law — another source of foreign complaints — and measures to encourage foreign investment in agriculture and technology and developing free-trade zones. Chinese officials deny Beijing steals or pressures companies to hand over trade secrets and technology. But they are trying to mollify Trump and other governments by promising better legal protections. "I think the (American and European) complaints have been reflected in the revision of the law," said Citigroup economist Li-Gang Liu. Under the proposed law, officials would be barred from using "administrative methods to force technology transfers." The chairman of the American Chamber of Commerce in China, Tim Stratford, called the measure a "step forward." But business groups say they need to see how it will be enforced. It was unclear whether the vaguely worded measure would appease Trump. The American Embassy in Beijing said it had no comment. Companies have been disappointed in the past after "hearing positive words," said Stratford, a former deputy U.S. trade representative. The European Union Chamber of Commerce in China said the law's "vague language" gives regulators too much discretion. The focus on "administrative methods" would leave officials free to use other pressure tactics, it said. The state press has cited other potential topics including revising China's patent law — another source of foreign complaints — and measures to encourage foreign investment in agriculture and technology and developing free-trade zones.